In Arkansas, you must submit the required paperwork when registering a car. 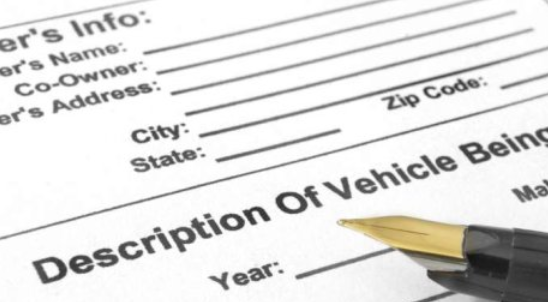 If you purchase a car from a dealer, they will usually handle all the paperwork needed. However, if you purchase your car from a private seller, you will be responsible for handling paperwork. You’ll need to provide a bill of sale, vehicle title and several other documents before registering your car at the Arkansas OMV. This article contains more information about paperwork needed when purchasing a car in Arkansas and other relevant information. The certificate of title with your signature and that of your seller. An invoice or bill of sale that shows the vehicle purchase price. Vehicle details such as VIN. VIN Inspection certificate if the vehicle bears an out-of-state title or has a salvage title. Proof that the car has been assessed for taxes. Proof of tax paid (tax receipt or stamp on assessment papers). NB: If you intend to transfer the license plate, you will need to pay $1 transfer fee. 6.5% sales tax of the purchase price (7% if you live in Texarkana). The registration fee, which depends on the vehicle weight or size. Local tax, which varies by county and city. Test-drive each car that you choose to determine its comfort and functionality. Make sure you check the head space and leg room before making your decision. Once you decide the best car for you, gets its vehicle history report. This report will help you determine the accident details. A vehicle history report is an important document that will help you determine the status of the vehicle you intend to purchase. This document provides information on vehicle’s accident details, odometer reading and flood issues. For instance, odometer reading will help you determine the mileage covered by that vehicle. A vehicle history report protects you from vehicle sellers who may intentionally mislead you.